A detailed description of the functioning of human mind. Mind had never been so dissected before. Unbolt the secret doors in your own inside. This book will enlighten you to know your proper inside. 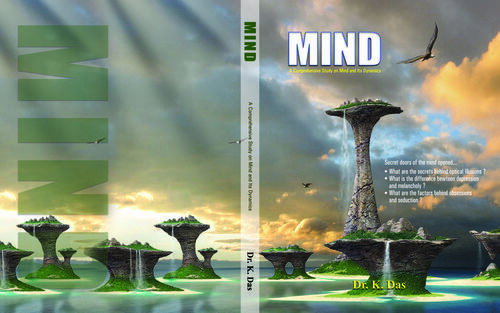 This book elaborately and lucidly describes how human mind functions. Step by step all compartments of human psyche have been disclosed and all secret doors of it have been unbolted. Readers can go through a beautiful journey reading this book, discovering their own inner selves. Concurrently, the part II, comprising the disorders of mind, has been added, to make the comprehension more complete. Knowledge makes us wiser, which is necessary for the most intelligent person also. • Secrets behind optical illusions. Mystery of Hermann grid illusion explained for the first time. • Mechanisms behind Emotions and Mood. How they work ? What is the difference between them ? • What is the difference between obsession and seduction ? How they work ? • Brief descriptions of recent psychological therapies.